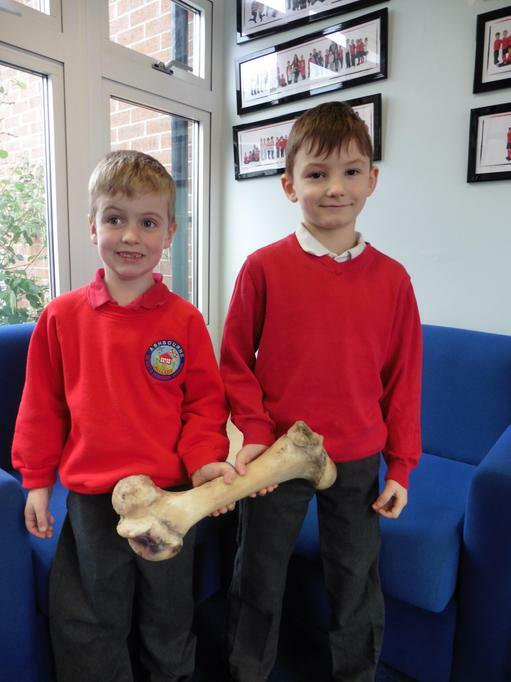 Thank you for talking to us about this great find, where was the bone discovered? B - We had the field hedge removed by diggers just before Christmas and they found the bone there. 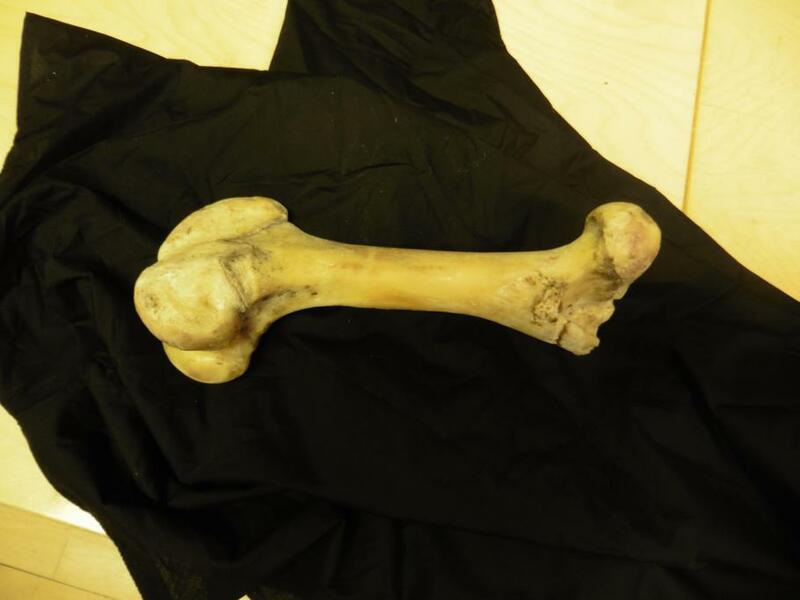 How old do you estimate the bone is? A - A triceratops leg. B - A T-Rex upper leg. How have you developed your extensive knowledge of dinosaurs? B - I have lots of dinosaur books. A - I have dinosaur books too and have looked on YouTube. I also have a Lego dinosaur game. Finally, what are your favourite dinosaurs? A - Dinosaur megalodon, which is like a dinosaur shark. As told to Mrs Middlebrook, with a little creativity around the discovery, and thanks to Mrs Smith for the loan of the bone.